The original speech given by Theseus in the first scene of act five in A Midsummer Night's Dream likely lacked key lines that link to themes existing in Shakespeare's 26th sonnet. Experts of Shakespeare's works have concluded that the "unusual quantity" and "mislineation" present in the finalized version of the speech suggest that "the text at the beginning of 5.1 was revised, with new material written in the margins" (860, Cohen, Howard, Maus). 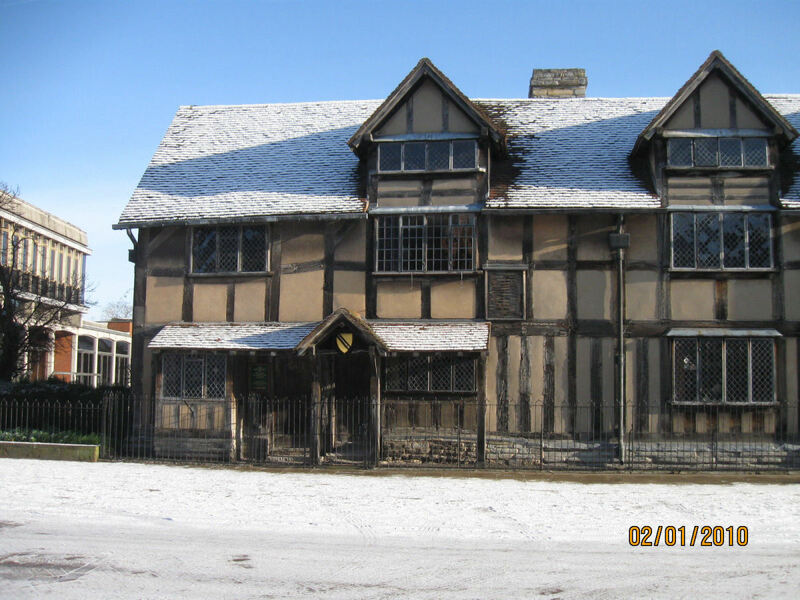 The ten lines believed to have been inserted into the speech expand upon themes present in Shakespeare's 26th sonnet, personal lines that allude to the poet and author of the work himself. Therefore, Theseus has become an instrument employed by Shakespeare to speak out his own voice; the words are not Theseus' alone, as Shakespeare has used his character to deliver two direct references to himself, suggesting a dual voice. That Theseus speaks for Shakespeare keeps his words relevant to the play, and that Shakespeare speaks through Theseus allows him to bring up issues that transcend the play and reference real life situations, and more importantly Shakespeare's own life. 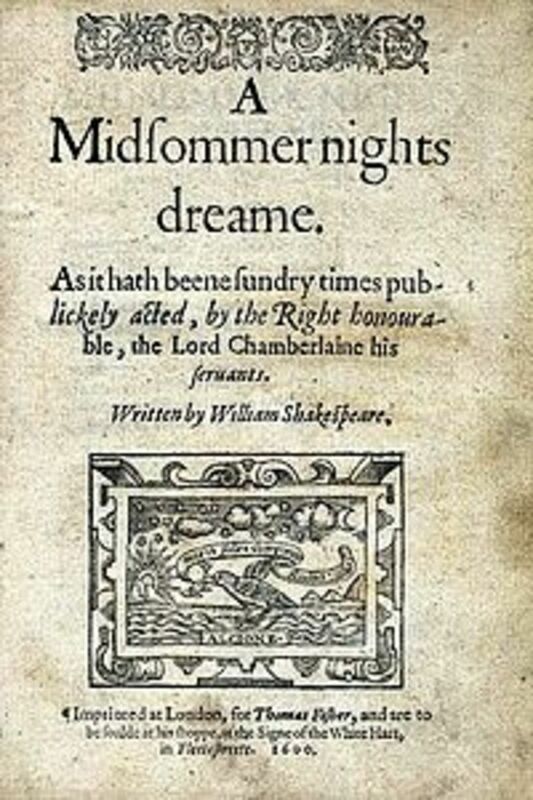 Although Shakespeare's deeply personal tone in the sonnets, citing a first person narrative of his thoughts and emotions, appears much more obviously personal and relevant to his life, by adding ten lines to a speech in his play A Midsummer Night's Dream, Shakespeare indirectly ties himself into this work as well, suggesting an intimate association which did not exist before these later additions. Appearing as the speech does, near the end of the play and as a summation of the fantastical events that have happened throughout thus far, interpretation allows for the assumption that Shakespeare added these lines to give the play a deeper meaning, a deeper look at the work as a creation in itself and a glimpse into the mind of the author, paying a sort of tribute to the man who created it. The beginning of Theseus' speech criticizes the stories related by Demetrius, Hermia, Helena, and Lysander, stating that he cannot accept such concepts as real but rather as fantastical figments of the imagination, as "antique fables, [...] fairy toys" (5.1.3). This sentiment exists in both the original and edited speech; however, the following lines exist in the edited version exclusively. The contrast of realism and things imaginary continues in these added lines: "Such shaping fantasies, that apprehend/More than cool reason ever comprehends" (5.1.5-6). The separation between imagination and reality is emphasized, suggesting imagination is "more than" reality, or goes beyond reality. However, by such a contrast, realism and the imagination are simultaneously linked, as one being a continuation of the other, that imagination finds its origins in reality but goes beyond what reality will allow. Additions to this comparison present themselves in the next inserted lines: "The lunatic, the lover, and the poet/Are of imagination all compact" (5.1.7-8). These sentences inserted directly after the before mentioned comparison suggest a common theme shared among all aspects. Now, comparisons exist not only between reality and the fantastical but between these two concepts as well as madness, love, and poetry. 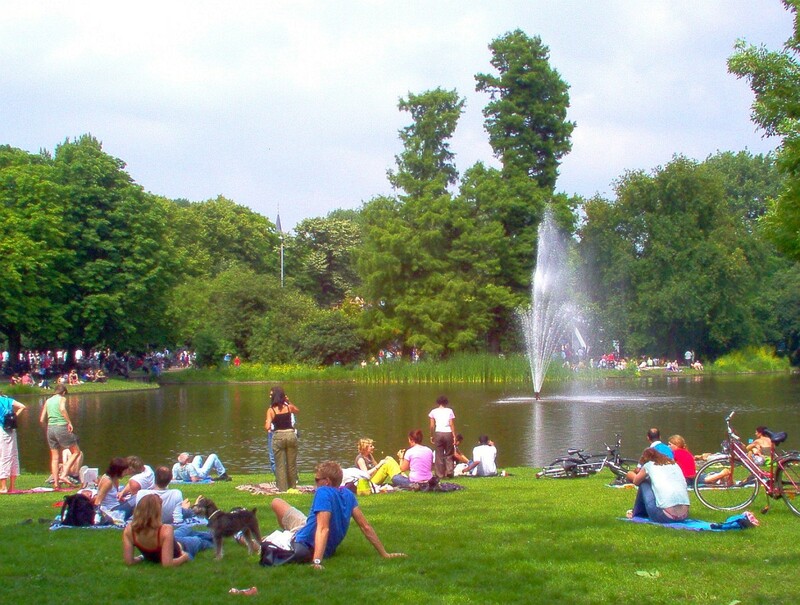 The reference to poetry alludes to Shakespeare himself, "the poet", suggesting that in order to create the world present in A Midsummer Night's Dream Shakespeare must employ imagination, based upon but transcending reality; madness, as he writes of concepts, creatures and situations that defy all logic; and love, as the play is a romantic comedy. Without reference to the poet, the mentions of reality and imagination would have related exclusively to within the play, a critique of the play itself, instead of what it represents on higher level, beyond the literal interpretation of its words but analysis of its themes and how they relate to the world, Shakespeare's world specifically. It allows focus to broaden from inside the work itself to the world which created the work and in which the work exists. 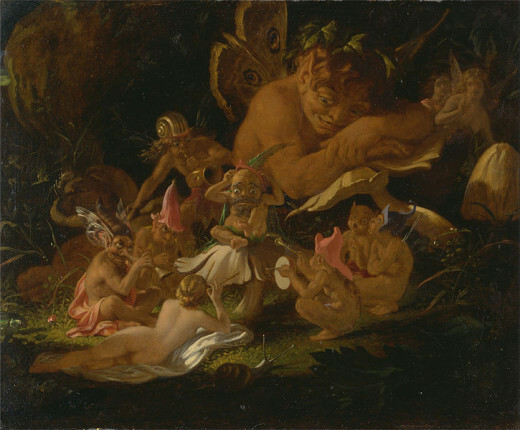 A glimpse into the world which created A Midsummer Night's Dream presents itself on a first person basis in Shakespeare's 26th sonnet, where Shakespeare gives us direct insight into the components of the mindset necessary to create his writing. Although the sonnet speaks of Shakespeare's love specifically, many of the elements presented in Theseus' speech exist in this sonnet as well. The first lines of the poem suggest a physical exhaustion reached by a long journey, cured through rest, in which Shakespeare's mind takes over, going on a journey on its own. The statement: "then begins a journey in my head/To work my mind when body's work's expired" (3-4), describes the separation of mind and body, the unrealistic from the realistic, that which can be seen through dreams and that of tangible existence. Shakespeare leaves reality behind, traveling beyond the limitations of his body and of the reality which surrounds him, and journeying on to transcend reality with imagination. In darkness Shakespeare can reach his destination, accomplish his purpose, with his mind he can go where he otherwise could not; he can reach places he cannot physically venture as they are beyond the realm of reality: "For then my thoughts, from far where I abide,/Intend a zealous pilgrimage to thee,/And keep my dropping eyelids open wide,/Looking on darkness which the blind do see" (5-8). In the absence of light, which defines our world and our place in it, Shakespeare can venture on to wherever he wishes to go and imagine anything he wishes to see. Like the blind who must create their own visual worlds internally and let their minds alone interpret how things appear before them, Shakespeare looks into that same dark "which the blind do see". Like the blind, he can separate himself from as things should appear or what he should be seeing, as the blind have nothing to compare their mental images to, and Shakespeare can detach himself from his surroundings and reality the way it tangibly presents itself. Thus in darkness Shakespeare breaks away from reality and sees his love, viewing things beyond all logic, the face of his lover in a dark room where no image can really be seen: "Save that my soul's imaginary sight/Presents thy shadow to my sightless view,/Which like a jewel hung in ghastly night/Makes black night beauteous and her old face new" (9-12). Shakespeare uses his imagination to see the picture he desires to see, breaking from reality and entering into a kind of madness to symbolically view the image of his love. He sees the beauty of the representation of his desires, and not the night as it truly is-"ghastly". 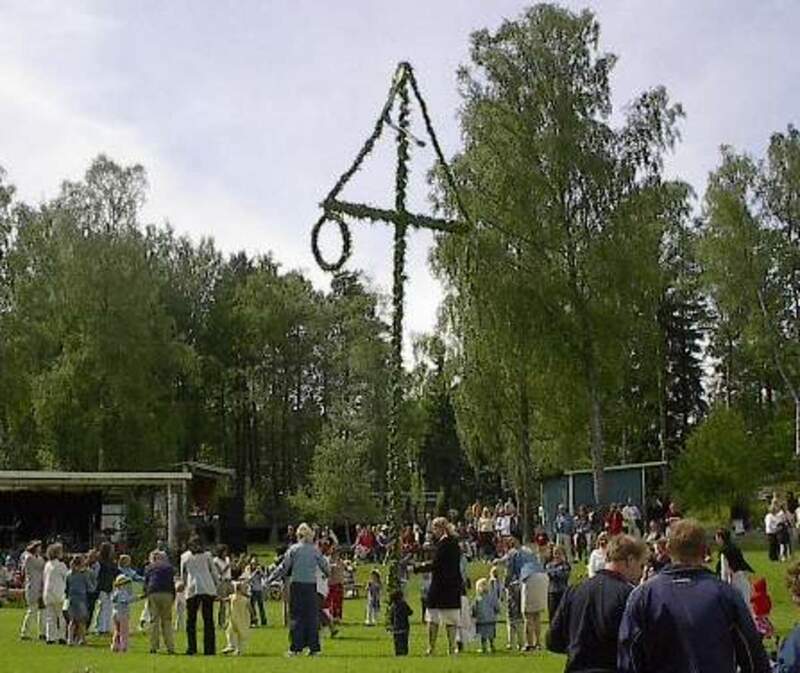 The extent with his disconnect with his surroundings exists in the fact that he sees his fantasy as a jewel-finding something that sparkles and shimmers reflected light in the devoid darkness, seeing the exact opposite of what stands in front of him. Through this break with reality, Shakespeare finds the inspiration to write his 26th sonnet. This inspiration seems similar to the characteristics of poetry stated through Theseus' speech in A Midsummer Night's Dream. Shakespeare starts off his sonnet as one within reality, physically tired in the physical world surrounding him, and then progresses to the world of his imagination while the tangible world around him disappears in darkness. He sees things and goes places that do not coincide with reality, he perhaps enters a state of madness. The object of his affections reveals itself to him in this state, and perhaps for love of this object of for love of art itself Shakespeare is thus inspired to write about these happenings in prose. The poet in him coexists with the other elements of the man-the madman, the lover, the vivid imagination, and allow these great works to come into creation. The exact progression from imagination, such as imagining a person in front of him while resting in darkness, to creating a work of art describing his imaginings, such as the 26th sonnet, is described through the continuation of Theseus' speech: "The poet's eye, in a fine frenzy rolling,/Doth glance from heaven to earth, from earth to heaven" (5.1.12-13). These lines were also inserted in the edited version of Theseus' speech, and work to describe how Shakespeare creates his art. The poet sees altering reality and imaginings, "from heaven to earth", and he exists in reality but must transcend that reality to create his art, to view another world in which this art can develop free of constraint. 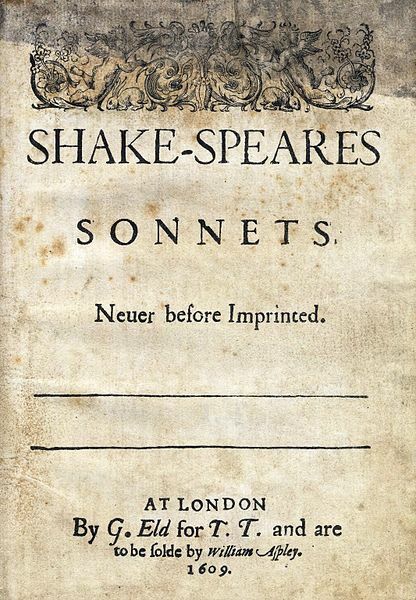 Similarly, in the end to Shakespeare's 26th sonnet he states: "thus by day my limbs, by night my mind, for thee, and for myself, no quiet find" (13-14). The poet exists in two worlds but must inhibit the fantastical to feel free to create great works which go beyond ideas confined to every day reality. It is only at night when he can undertake his mental journey, when darkness conceals the world and where imaginings are the only things that can be seen. These imaginings are just imaginings as long as they remain contained in the poets own mind, his own world to which others cannot relate and therefore cannot accept, but when the poet transposes his thoughts on paper, these thoughts have a tangible reality as words and letters and symbols, even if their content consists of unreality. This concept stands out in the last inserted words of Theseus' speech: "And as imagination bodies forth/The forms of things unknown, the poet's pen/Turns them into shapes, and gives to airy nothing/A local habitation and a name" (5.1.14-17). A concept itself cannot be owned, cannot be explained without a name or something to link it to reality. Shakespeare gives his imaginings a voice and a name and brings them into reality as he writes his works, and "things unknown" existing only in form become distinct shapes, the poet gives insubstantial thought a "habitation and a name". 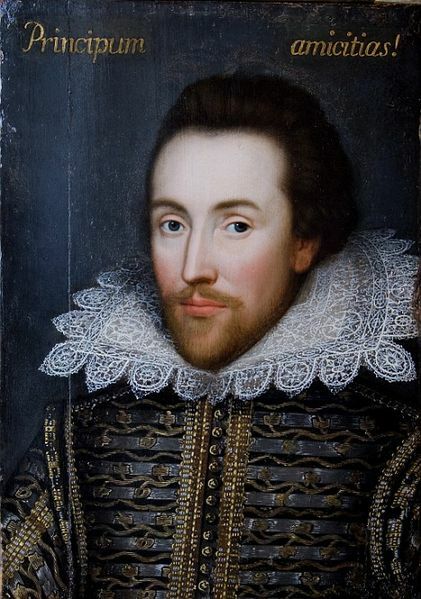 It is in this way which Shakespeare was able to use his imagination to create the worlds depicted in his plays and sonnets, and it is through the actual writing process that these imaginings became great works of art, tangible art which can give us a glimpse into the mind of their author. 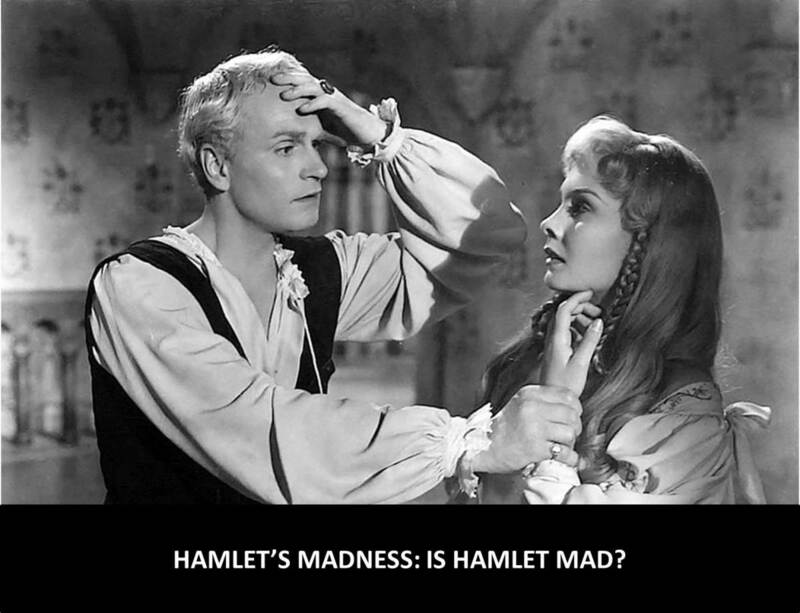 Hamlet's Madness: Is Hamlet Mad? 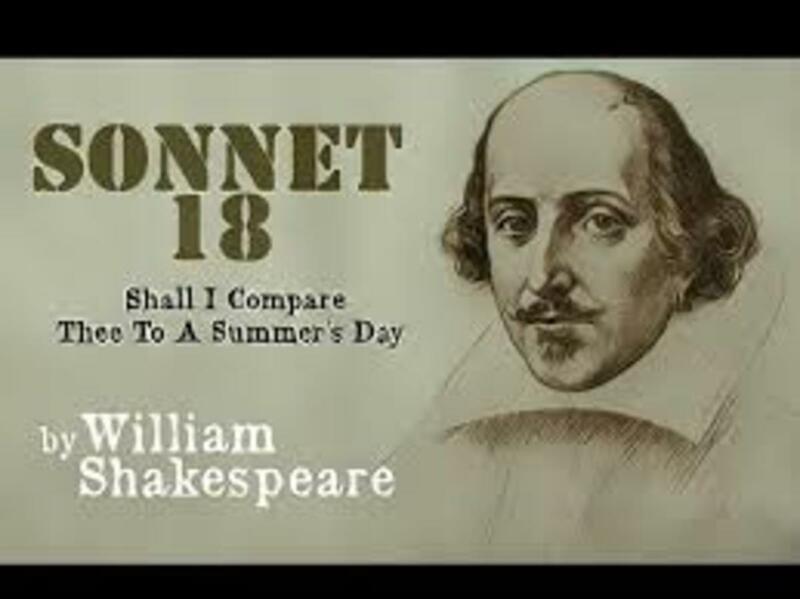 Shakespeare's Sonnet 18: Shall I Compare thee to a Summer’s Day? I'm not sure what you mean by the finalised version of the speech. Are you referring to the play as printed in the 1623 First Folio, which was compiled by Shakespeare's friends after his death?